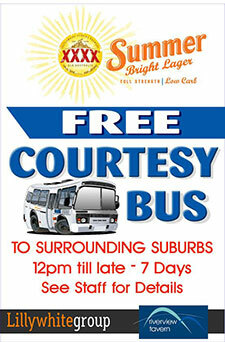 Did you know we run a FREE courtesy bus?! 7 days a week from 12pm till late ? 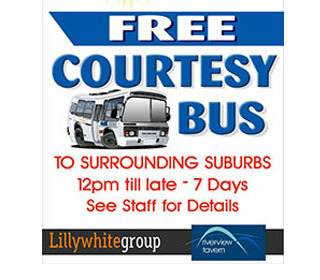 Why not book the bus to the tavern, have an ice cold drink with your delicious meal and not have to worry about getting back home! Call to book the bus for your next visit – 4775 5005! Award winning food, great service and a spacious deck overlooking the picturesque Ross River as well as a multi-purpose function room, the Riverview Tavern has it all for your next dinner, party or private event.